The aerobatic box is the area in which aerobatic competitions take place. It is a block of air 1,000 meters (3,281 feet) long by 1,000 meters wide. 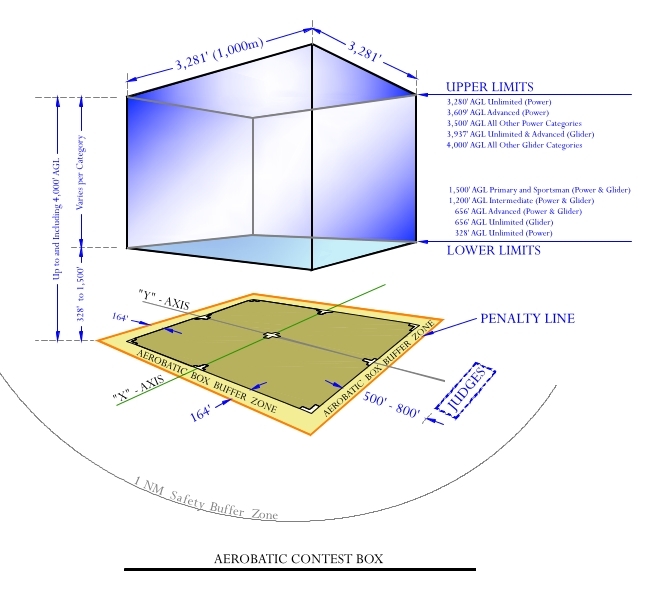 The upper and lower limits of the box are set based on the category a competitor is flying in. The competitor has to stay within the lateral limits of the box and within the height limits. The lower limits of the box are, for safety reasons, strictly enforced. During competition there are boundary judges in place that determine when a competitor leaves the box. Boundary infringement penalties are subtracted from the pilot's overall score.